In the last comment thread, commenter papa noted a very natural first guess: that the title was a riff on the musical Showboat, and that the post topic would thus be space liners (rather than military showboating). Thread drift duly followed, so that the rest of last thread can usefully be read as 'pre-comments' on this post. If you do a Google Images search on battlecruiser, images of space warcraft handily predominate over, you know, actual seagoing battlecruisers. Do the same for space liner and you get a strange grab bag of images - the first row on my screen includes two aerospace vehicles (one from the film 2001), a very stylized deep space craft (from a Maldives stamp), a car, a bicycle, and a pullcart for garbage cans. Spaceliner as a single word brings up mostly bicycles, plus a fair number of buses. This little search adventure confirmed something I already knew from my traffic stats: We geeks are a rather bloodthirsty lot, at least in imagination. It also showed me something a bit disappointing that I didn't know. Space liners do not seem very well established as a trope. Even the Evil Website has only one reference (relating to the film The Fifth Element). 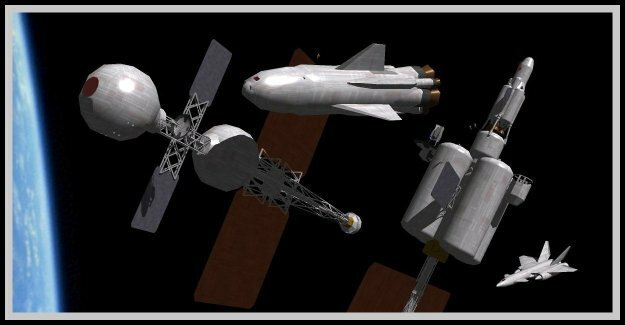 Yet a future of large scale space travel, interplanetary or interstellar, might reasonably be expected to include space liners, so they are worth considering here. Operators of aerospace liners have a perfect right to leave off the 'aero-' part, but for this discussion I have in mind 'real' space liners that operate entirely in space, especially those making long trips through deep space, interplanetary or interstellar. And I am concerned here with spacecraft intended for travel, from one planet (station, whatever) to another, not the spacegoing equivalent of cruise ships. Commenter Tony made a suggestion last thread that early transports, at least, may have only a minimal dedicated crew - the passenger manifest providing needed most of the needed skillsets as well as the scut labor. After all, these early passengers will be trained specialists on assignment to outpost destinations, whatever the institutional details. I tend to agree. Indeed, as I noted in comments, early passenger transports may have no permanently assigned crew. If they are lightly shielded to save penalty mass, a couple of round trips might rack up a substantial fraction of lifetime radiation exposure, making ship's crew a non-viable career path. And the people being transported to and from deep space outposts reasonably include propulsion techs, along with mission controllers who can function as pilots. Somewhere along the time line, however, VIPs will muscle or bribe their way onto the passenger manifests. The first of these will make no difference in terms of accommodations - like today's pioneer orbital tourists, they will bunk and eat alongside working crew/passengers. At some later point, VIP passengers, whether bureaucratic or paying, will become numerous enough that First Class accommodations will be provided for them. 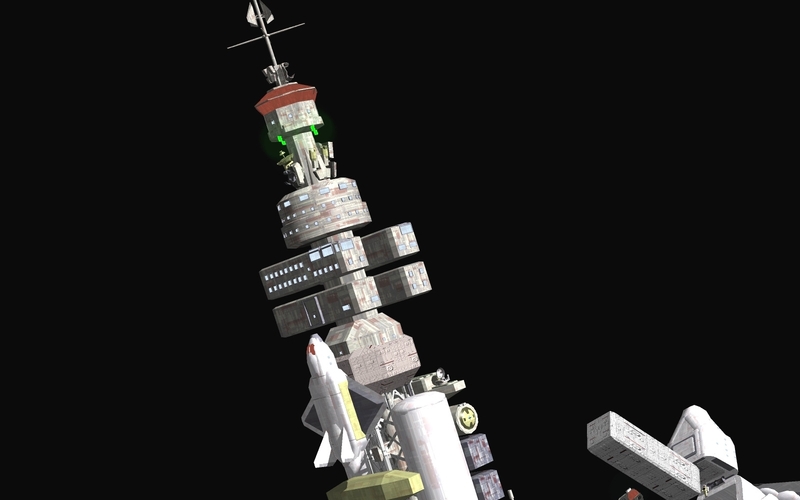 At this point the true space liner begins to take form, even if its chrysalis is just a corridor or two within the hab of an otherwise-utilitarian transport. As suggested in the last thread, even the transports will be relatively comfortable, because their travel times are in weeks or months. First Class accommodations may offer slightly larger cabins, or roomettes instead of bunkrooms, but their most distinctive - and expensive - feature will be stewards and other hotel staff. If bases and outposts do evolve into incipient colonies (by no means a given! ), travel will become more commercialized and purpose-built space liners will evolve. These may still have some equivalent of steerage class for passengers who do much of the work of maintaining their hab spaces - at least the basics like making up their own bunks and providing galley services. But they will also have First Class and intermediate level accommodations. Yes, there is also the possibility of that old SF standby, Cold Sleep, or some other means of snoozing for most of the passage. But the more we learn about humans biologically the more complicated we turn out to be, and I don't think we can count on this. In any case, by this point we are well beyond the 'Plausible Midfuture.' Will the liners, or at least their First Class sections, have spacious atrium areas with gardens and the like, to provide the illusion of not traveling through space while confined in a can? If your setting is operatic enough to have full-blown space liners, I wouldn't rule this out - though a lot of the spaciousness may be artful illusion. The image at top is one I made several years ago, representing the liner-freighter torchship Silk Road. Due to the (improbably!) high acceleration no spin is needed, and the passenger pods are shamelessly based on rail passenger cars - even to the 'baggage car' clamped onto the passenger section. The image below has nothing to do with space liners. 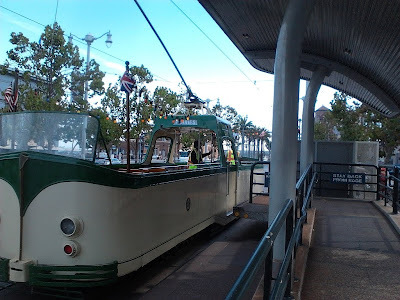 It is a Blackpool (UK) 'Boat' - so named for obvious reasons. It is about as cool as streetcars get, and this one sometimes runs in regular service on the SF MUNI's F Market line. 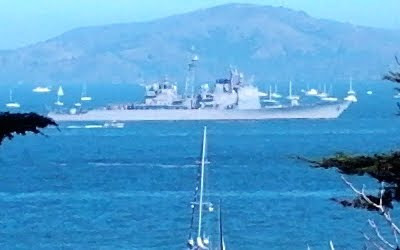 It has been Fleet Week in San Francisco, which invites consideration of the things military forces do besides fighting wars. One of these, assisting first responders in civil disasters, figured in this year's Fleet Week. But mainly Fleet Week is about showing off. It featured a 'parade of ships' coming into port (where I used my el cheapo phone camera to snap USS Antietam, CG-54, above), and three days of air shows - the first time I've ever walked to an air show. Sunday's Blue Angels performance had to be cut short because of intruding fog. (I had already watched them on Friday and Saturday.) An hour later the fog completely dissipated. On an international note, this year's Fleet Week had a substantial Canadian presence: four ships and the Snowbirds, the RCAF's precision flight demonstration squadron. But, ahem, on to the point of this post. In grand-strategic perspective, 'showing off' is arguably the primary mission of military forces. War-fighting is merely their most important secondary mission, the one they will be forced back onto if they fail in their primary mission. To be sure, much military showing-off is an implicit display of war-fighting capabilities, and by no means is all or even most of it aimed directly at prospective enemies. Air show demonstration squadrons such as the Blue Angels and Snowbirds illustrate both of these points. Flying loops in wingtip-tight formation may be a combat maneuver, but it certainly displays piloting skills and aircraft performance that are relevant to combat. But the more immediate objective of demonstration squadrons - as of much military display - is as a recruiting tool. Though come to think of it, being able to recruit troops is also combat-relevant. The role of military display has generally been understated in the recent era. The books I read on the history of ships tended to denigrate the gilt-work of 17th century 'great ships,' though it served very well for conveying their royal owners' wealth and power. The shift of attitudes can perhaps be pinpointed to a little more than 100 years ago, when the world's navies abruptly went gray as their armies went khaki. Not that the impulse toward display actually disappeared - at almost that exact moment, 'armored cruisers' gave way to battlecruisers, showboats par excellence, which is why their name survives in SF. Which brings us to space. Space forces, strictly speaking, have some disadvantages when it comes to military display - in particular, being a long ways from most of the people they might impress. Space fighters, in the strict sense, can't go thundering a couple of hundred meters over the rooftops of Pacific Heights. Only atmospheric craft can do that. The curious flip side of this is, of course, that the Space Race was all about (quasi-) military display on the grandest scale. In this case the hardware had no specific warfighting role at all. It didn't need to. Everyone understood that if you could hit the moon, you could nail Moscow or Washington. On the other hand, space might still have a future as a place to display technological prowess. And if, as I suspect, war 'as we have known it' is becoming obsolescent, the role of quasi-military display could become even more prominent than in the past. The obsolescence of war is not about moral betterment but pervasive mutual deterrence. And deterrence is fundamentally all about showboating.